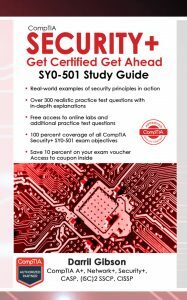 This page is dedicated to sharing errors identified in the CompTIA Security+ Get Certified Get Ahead: SY0-401 Practice Test Questions book . If you know of any errors in the book, please let me know. 42. While reviewing logs on a firewall, you see several requests for the AAAA record of gcgapremium.com. What is the purpose of this request?